Last Thursday morning I had the opportunity to travel with my family to Mbale. 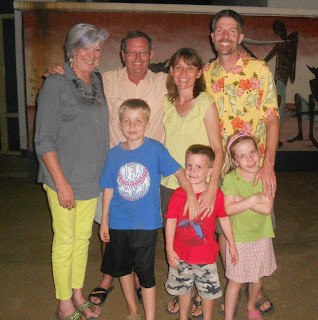 We made the 2 ½ hour trip because we wanted to say goodbye to our friends, the MacCallums. They are moving back to South Africa. The drive didn’t take that long because it is now dry season. Once we got to Mbale we dropped off all our stuff at our Mission house, then we spent the afternoon swimming with the Tuningas. I had a great time! That night we had dinner with Mr. & Mrs. MacCallum. It was fun because we went to the nice Elgon Hotel which has a playground? The next day we went home. I’m sad that the MacCallums are leaving but I’m glad we got to say goodbye! Ok, they aren't mine, but some from teammates who are much better at keeping all informed of life and ministry around here. Click here to see a recent baptism picture of a dear friend's baby and here to see what we frequently see as we look out our houses and here for a more general update. All courtesy by Christopher and Chloe Verdick who have a fabulous blog! So it seems our 10 year old has become a guest blogger! Check out here to see Caleb's post on our teammates' blog. He may become a regular! We hope you all had a wonderful Christmas and are having a Happy New Year! 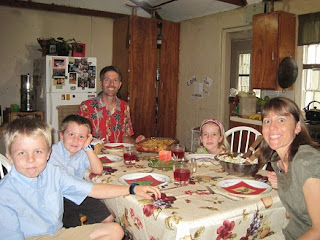 Here are a few pictures from our getaway before Christmas and Christmas Day. Christ's blessings to you all.